Logz.io is a predictive, cloud-based log analytics solution that is built on top of the popular open source ELK Stack (Elasticsearch, Logstash, and Kibana) and is highly secure, available, and scalable. The Logz.io add-on for Heroku simplifies log analytics by offering an enterprise-grade, cloud-based SaaS platform that is built on top of ELK and provides real-time access to data insights based on the collaborative knowledge of IT professionals, DevOps engineers, and developers throughout the world. 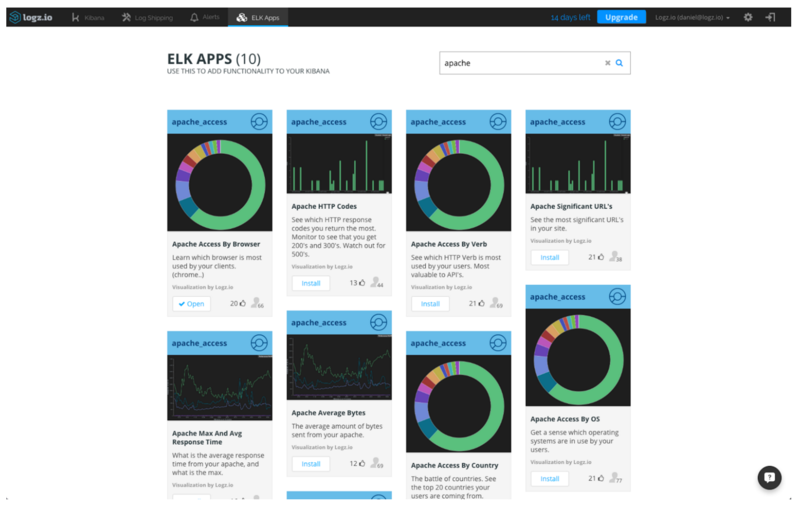 ELK, on which Logz.io is based, is the most popular log management platform in the world, being used by companies like Netflix, Microsoft, and Cisco. Centralizing log data. Use Logz.io to collect all of your Heroku application logs into a centralized location so that you can monitor and troubleshoot issues quickly and get a holistic view of your entire environment. Troubleshooting and forensics. Troubleshoot production issues by searching through millions of records to investigate and pinpoint potential problems. You can filter results by server, application, or any custom-defined parameter. Infrastructure monitoring. Get quick and detailed access to your Heroku infrastructure so that you can monitor for application-level issues. Security and compliance. Logz.io monitors for security threats such as password brute force detection, access control, network access, and any other custom-defined events. Business intelligence. Analyze application-level and infrastructure-level logs to visualize the journeys that your customers are experiencing. You can determine if any issues are affecting response times and other metrics. Just add the Logz.io add-on and you’ll start seeing your logs in real time. You’ll have production-level ELK (Elasticsearch Logstash and Kibana) on Heroku in five minutes without any hassle or installation. No configuration is needed. The cloud-based Logz.io platform allows you to search your application and infrastructure logs quickly and easily to find relevant events and then visualizes the information in a Kibana 4 dashboard so that you can see the stories that your data is telling. Logz.io uses predictive fault detection so that you can analyze your data with insights generated by DevOps professionals around the world. Our collaborative analytics and automatically-created dashboards and alerts are placed in a free online library of dashboards generated by Logz.io’s machine-learning technology and user contributions. For more information, you can see our ELK apps library. 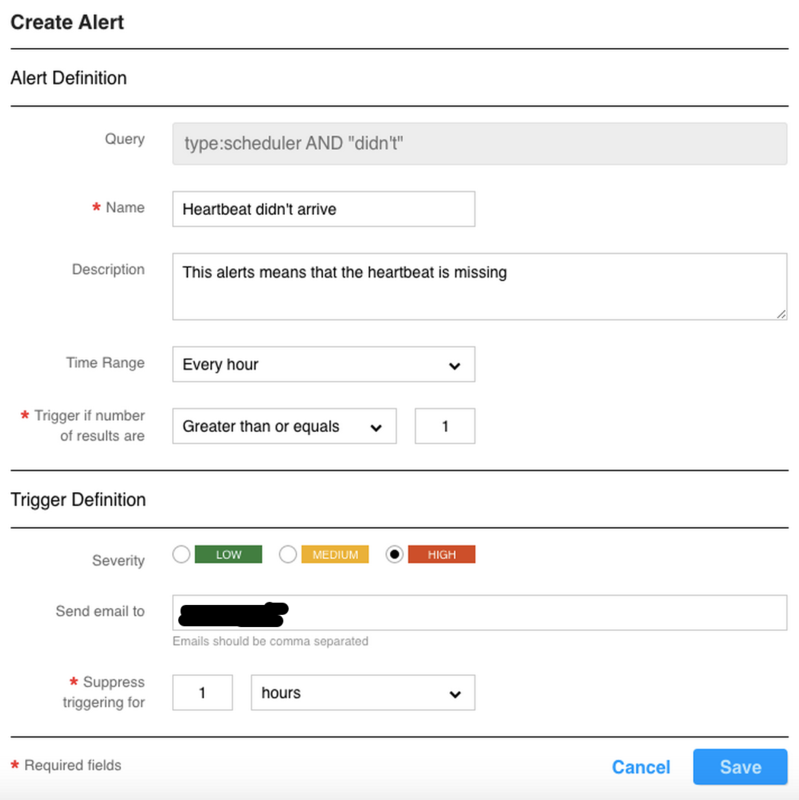 Be proactive with your log management by defining and setting up alerts that immediately notify you of important events whenever they occur. You can receive the notifications over almost any communications tool, including text message, email, Slack, PagerDuty, HipChat and others. We support any third-party application or service that can accept WebHooks. To learn more, see our Slack integration announcement and our Alerts informational post. The Logz.io ELK-based platform is designed to make sure that your data is always safe and accessible. We maintain high availability across different AWS availability zones as well as data encryption on transport and strict standards when it comes to data protection and privacy. Logz.io relies on the Amazon cloud’s exceptionally flexible and secure cloud infrastructure, which follows a number of compliance standards including SOC 1/SSAE, 16/ISAE 3402 (formerly SAS 70 Type II), HIPPA, SOC 2, SOC 3, FISMA, DIACAP, and FedRAMP. Read our security white paper for more details. Logz.io enterprise grade ELK can be attached to Heroku application using the CLI. To enable log collection on multiple applications, you can share the same Logz.io add-on with multiple applications. Logz.io add-on can be removed by using the CLI. All Logz.io support and runtime issues should be submitted via one of the Heroku Support channels.